Will this be Trish's last book? 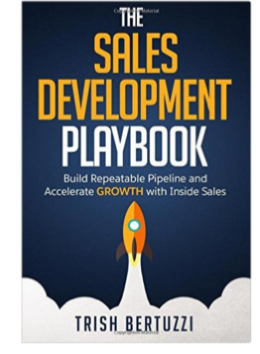 The Sales Development Playbook. 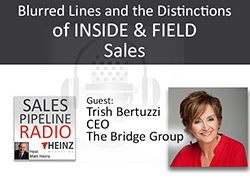 Listen in as Trish and Matt discuss the distinctions and blurred lines of inside sales and field sales. Is one superior to the other? The buyers have changed the game. Learn what they want and what it means for you. Originally aired 3/17/16. Novelist Jonathan Franzen said, "One-half of a passion is obsession, the other half is love." With that in mind, ask anyone who's met Trish and they'll tell you - she is passionate about inside sales.